What does it really mean to be a grown-up in today's world? We assume that once we 'get it together' with the right job, marry the right person, have children, and buy a home, all is settled and well. But adulthood presents varying levels of growth and is rarely the respite of stability we expected. Turbulent emotional shifts can take place anywhere between the age of thirty-five and seventy when we question the choices we've made, realize our limitations, and feel stuck-commonly known as the 'midlife crisis.' Jungian psychoanalyst James Hollis believes that it is only in the second half of life that we can truly come to know who we are and thus create a life that has meaning. 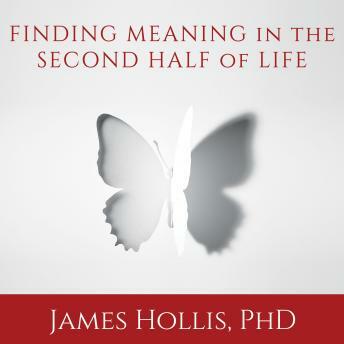 In Finding Meaning in the Second Half of Life, Hollis explores the ways we can grow and evolve to fully become ourselves when the traditional roles of adulthood aren't quite working for us. Offering wisdom to anyone facing a career that no longer seems fulfilling, a long-term relationship that has shifted, or family transitions that raise issues of aging and mortality, Finding Meaning in the Second Half of Life provides a reassuring message and a crucial bridge across this critical passage of adult development.